With most paint finishes on boats we spend hours striving for a blemish-free, mirror-like surface that reflects the (hopefully) sunlit water with perfect clarity – until, that is, we need to stand on it. I’ve been on some boats, both new and old, where the builders have omitted to add a non-slip surface to some parts of the deck – and those areas have been lethal when wet. That’s where deck paint steps in. Most paint manufacturers make it, or alternatively there are several home-grown recipes or domestic paints whose proponents swear are the best solutions to the problem. A common feature is that they are all single-pack paints, which keeps the cost down compared with two-pack finishes and makes them easier to patch, overpaint or renew. We gathered together six finishes, some proprietary and some home-grown. Where the non-slip finish was created by adding another component to a standard marine gloss paint we used International Toplac as the base – a single-pack paint we had used to good effect on the PBO Project Boat and of which we had some remaining. One of the paints, Kiwigrip, could be applied in two different ways to give different levels of grip, so we ultimately had seven finishes to test. We began this test just before Beaulieu Boatjumble in April this year, which gave us a unique opportunity to get a lot of feet to walk across the paint in a short time: we applied the paints in horizontal strips up the viewing ramp we built to allow visitors to look inside our project boat, Hantu Biru. 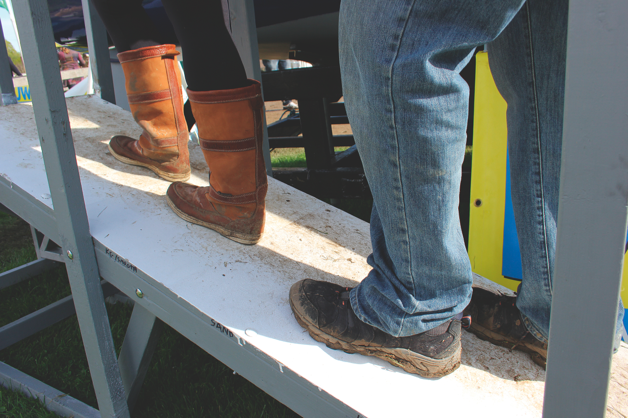 With more than 7,000 visitors to the boatjumble, many of whom climbed our ramp, PBO readers’ feet must have caused more traffic in a day than many boat decks would experience in a year or more. 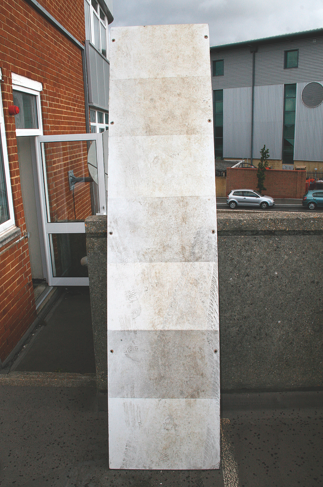 Since Beaulieu, the test board has been outside the PBO offices in Poole, experiencing summer sunshine, torrential rain and the combined wear of the feet of the PBO and Amateur Gardening magazine staff – including some tyre marks where someone accidentally drove over it. Each paint tested had two coats applied, with the underlying substrate being 18mm WBP plywood primed with Sandtex High Performance Primer Undercoat. At the end of the test there was no sign of any of the paints losing adhesion. We tested this by scrubbing each paint firmly using a scrubbing brush and detergent, also noting how easy they were to clean. 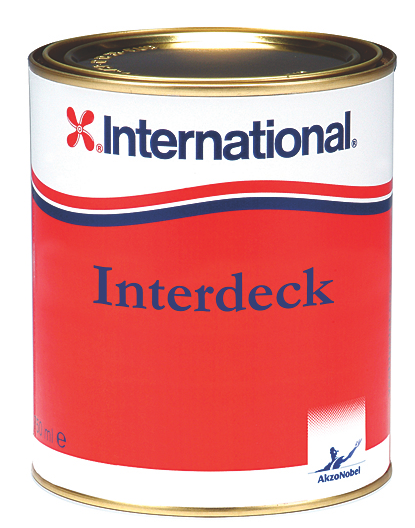 One of the variations on the theme of paint with a non-slip additive, Hempel’s product is similar to the International Interdeck we tested, with perhaps a slightly finer finish. It’s easy to apply with either a roller or a brush, and we found that two coats were beneficial to build the non-slip surface. The non-slip was on a par with Interdeck, and never lost grip in the wet or the dry. It did not noticeably wear over the season, and should be easy to refresh by recoating as the paint is a simple, single-pack product. Hempel also sell the non-slip granules as an additive if you prefer to use a different base paint. The paint proved easy to clean, returning to a reasonably white finish. We were familiar with this paint as it’s the same stuff we used on the PBO Project Boat decks. Both on the test and on the boat it has so far proved durable and retained the same level of grippiness. 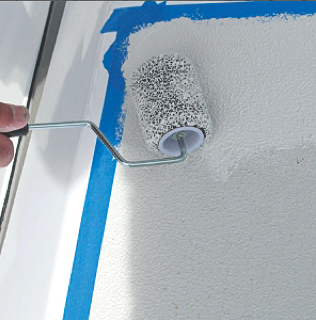 Interdeck is easy to apply with a roller. It goes on fairly thinly so you’ll need more than one coat, but this can prove beneficial for long-term maintenance as it’s easy to add another coat to refresh the surface. The grip is provided by a fine grit mixed in with the paint. 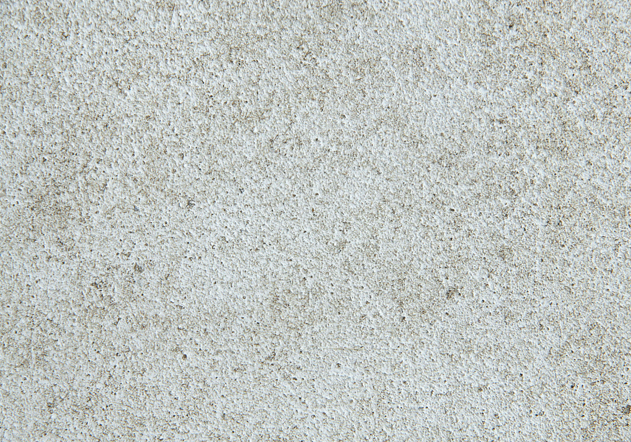 We found this distributes evenly through the paint on stirring and hence forms a uniform surface when applied. 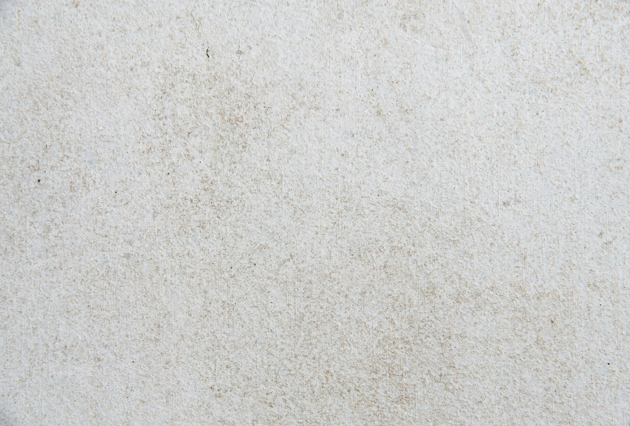 It’s not an aggressive surface – more like fine sandpaper – but nonetheless performs well in wet and dry conditions. Cleaning it is straightforward, although the paint retained some staining. The non-slip component is available separately if you prefer a different base paint. As the name suggests, Kiwigrip originates in New Zealand, where its inventor Barry Whalley sold it for about 15 years as ‘No-Slip’. It gained worldwide sales when the founder of US-based marine distributor Pachena LLC tried it on his own boat and introduced the rebranded Kiwigrip across the US, Canada, Europe and parts of Asia. The manufacturers suggest a range of application techniques, varying according to how aggressive a surface you require. A fine texture can be achieved with a conventional mohair roller, but for more grip they recommend you start by applying a single coat approximately 2mm thick, using either a brush or a notched spreader. The paint itself is the consistency of yoghurt and seems resistant to runs. Texture is then added using Kiwigrip’s ‘loopy-goopy’ roller, a roller sleeve a bit like a Brillo pad. 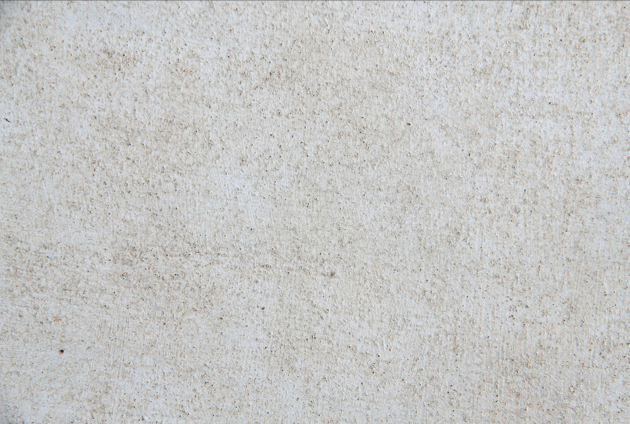 Used on wet paint it can produce a textured surface in proportion to how hard you use the roller, or an even rougher surface can be produced by rolling the paint again once it has become tacky. We applied two test panels of Kiwigrip, one using a mohair roller, and the second by pouring on the paint, spreading it with a brush and wielding the ‘loopy-goopy’ roller. We also tried a third, separate panel (not tested) and rolled the paint when tacky, but failed to achieve the aggressive non-slip surfaces suggested by the application videos – I suspect that our depth of paint was inadequate. A notched spreader might be a better option to achieve sufficient paint build if if you require this finish. A second application made little improvement. 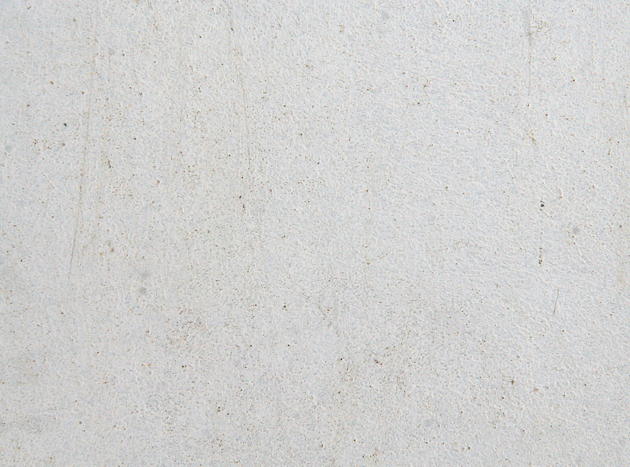 The rougher surface offered good non-slip characteristics both in the wet and the dry, and neither panel showed signs of wear at the end of the test. Of the two surfaces we tried the rougher one was the one I’d choose for a deck as the smoother finish was too smooth; however, as the grip can be varied it would make sense to try a few test panels first to achieve the finish you need. Kiwigrip proved easy to clean, with a bright white finish when scrubbed. This stuff is designed to be applied to brickwork, render and all sorts of inhospitable surfaces, so it stands a pretty good chance of sticking to your deck. 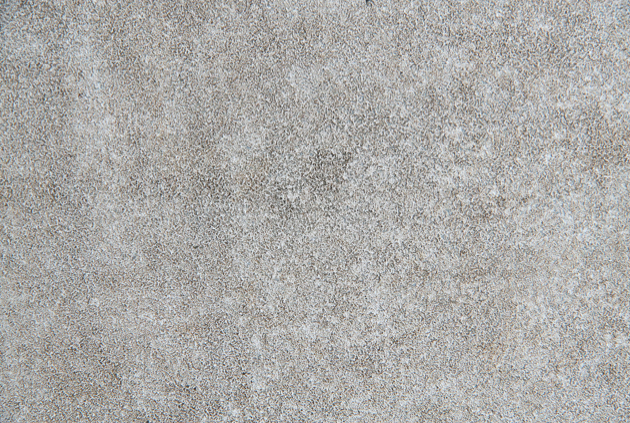 The texture comes from sand that’s mixed in with the paint, helping it to fill gaps in cement – or offer a grippy surface for deck shoes. There’s no mystery to applying it – just slap it on to whatever thickness you like using a brush or roller. The tricky bit, we found, was to get the sand to distribute evenly across the finish. However much you stir the paint, the sand tends to clump – not a problem on brickwork, but less good on your deck. However, with careful brushwork an acceptable finish can be achieved. 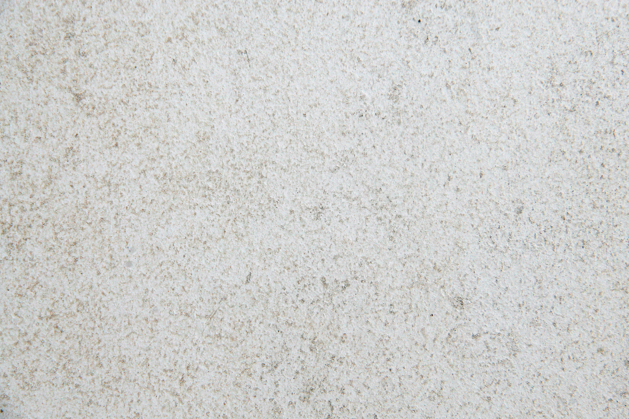 Sandtex proved durable throughout the test, with no signs of losing the non-slip surface. It was grippy and effective both in wet and dry conditions. However, it proved difficult to clean, retaining the staining left by muddy, grassy feet at Beaulieu and from subsequent foot traffic. 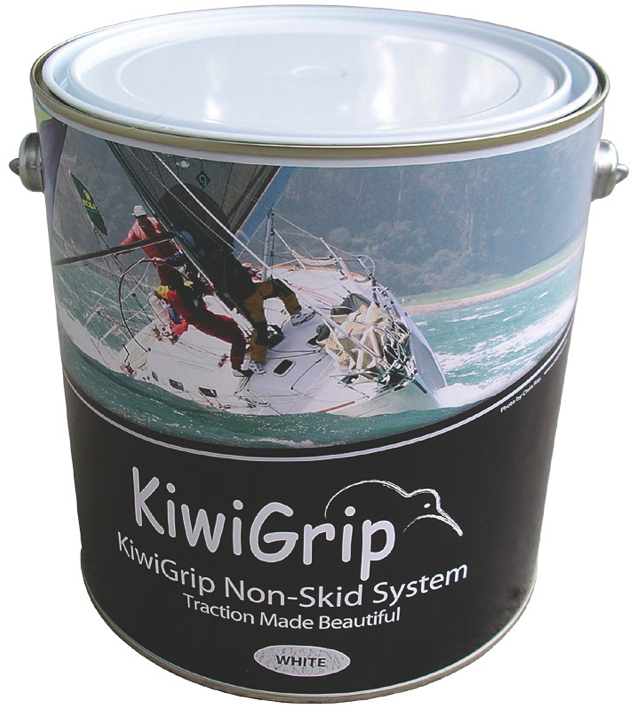 This is the only home-brew non-slip which bears any relation to the Kiwigrip, in that the grip comes from the finished texture of the paint itself rather than from an additive. We made the surface by applying a generous coat of Toplac, then immediately covering it to a depth of about 2mm with sugar. Once the paint had dried we dissolved away the sugar with boiling water, leaving the texture behind. We then applied another coat, but it shouldn’t be necessary, as the paint tends to fill the texture left by the first coat. The non-slip surface is very good, with plenty of grip in all conditions, and despite the fact that Toplac is not designed for this application, it does not seem to have worn over the course of the season. The problem is the aesthetics – the finely hollowed surface seems to trap dirt. We found it impossible to get clean, and hence would not recommend it. However, as a means of adding texture to varnish it could work well. Mixing in an additive is the easiest way to achieve a non-slip which matches the surrounding paintwork, as you can use the same paint. We used standard builders’ sand, which we spread out and dried in the sun to remove any moisture – a bag of kiln-dried sand might save that bother. 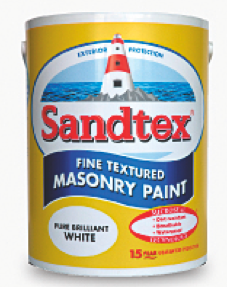 Instead of mixing the sand with the paint, which would have given us similar issues with achieving an even coverage as experienced with Sandtex, we applied a generous coat of Toplac with a brush before sieving the sand over the top. When the paint was dry we brushed off the excess sand and overcoated with another coat of Toplac. The good news is that they all worked. The best non-slip surface was actually the DIY sand, with sugar running a close second. I wouldn’t choose them personally as they retained the dirt and would make your boat look scruffy very quickly, but that might change if with a different base paint or colour. Next best for non-slip was the Kiwigrip rough finish which, combined with easy cleaning, wins it our best buy award. 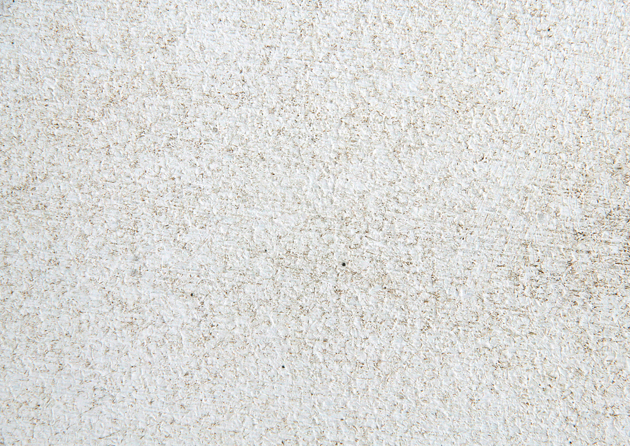 However, Sandtex is a close second on non-slip characteristics and is a fraction of the price, so if you’re prepared to forgo aesthetics or choose a darker colour, it’s a good option. 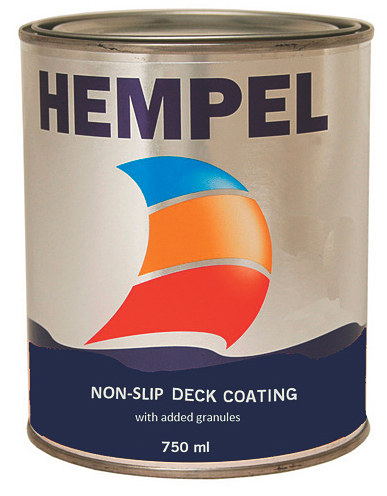 The Hempel and International deck paints were on a par, with similar non-slip characteristics and returning to a similar level of cleanliness. They have the advantage of easy application, and occupy a middle ground on the price.